An open air downtown barbershop on a late fall afternoon. "The Shop" is an original pastel painting on paper with framed dimensions of 27"H x 33" W. It is framed in a gallery style frame with double white matting, and a black wooden frame. 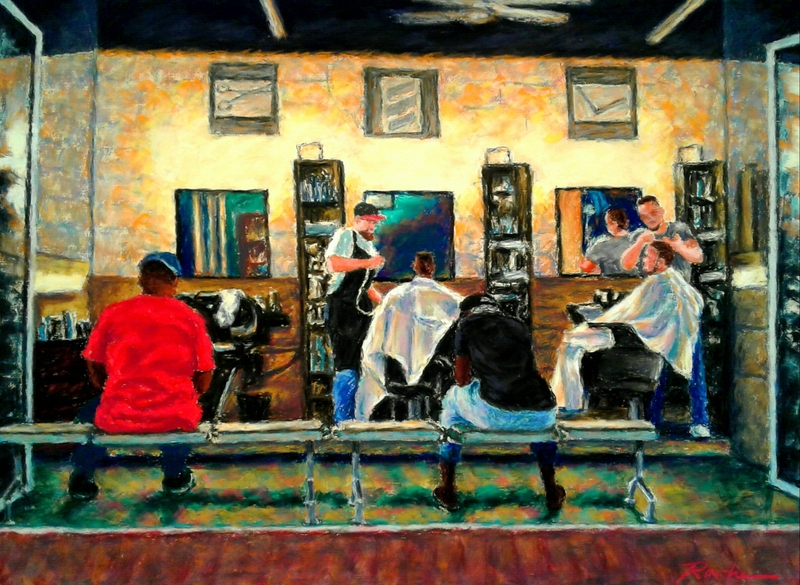 "The Shop" is also available as a limited edition of 25 giclee prints, that are hand remarqued by the artist in pastel. Each print is sold framed in a gallery style frame with dimensions of 22"H x 26"W, image size is 14" x 18". 7" x 9.5"9" x 12.25"